iTunes Store Revenue: If you have been paying attention to our past stories, you know that the Apple Inc. (NASDAQ:AAPL) iTunes Store is breaking its own records in terms of revenue. Despite the fact that Apple’s store is nearly 10 years old, things just keeping getting better. As you can see, revenue from this service is growing at an unbelievable pace. While this is very important to Apple, it is important to note that the rest of the industry is taking note as well. Yes, there are competitors. And yes, there are competitors that are putting a lot of time and money in this space. However, nobody has ben able to knock the iTunes Store off its perch. Instead, the company and this service continue to dominate and there is no reason to believe that this will slow down in the near future. Take a closer look at those numbers. For television shows, Apple has secured 67 percent of the market. This is astonishing enough, until you look at the fact that the closest competitor, Xbox Video, is way behind with 14 percent of the market. As Crupnick noted, competitors are out there but none have been able to take Apple down. 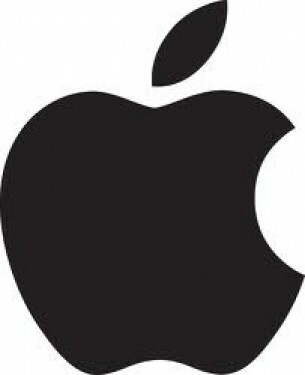 Apple Inc. (AAPL): Reports of Its Demise Have Been Greatly Exaggerated Apple Inc. (AAPL): 4 Revealing Comments From Today’s Q&A Session What Were Apple’s Earnings? Facts, Figures, Quotes Apple Inc. (AAPL): This Next Round of Cash is On Us! Apple Inc. (AAPL), Corning Incorporated (GLW): Technology, Growth, and Dividends... Apple Inc. (AAPL): Is a 12 MP Camera a Game Changer for iPhone 5S?